The Very Best Since 1919. The Knudsen brothers started their California creamery in 1919 with one simple rule: make only the very best dairy products. Today we follow the tradition by using the freshest, most wholesome ingredients. 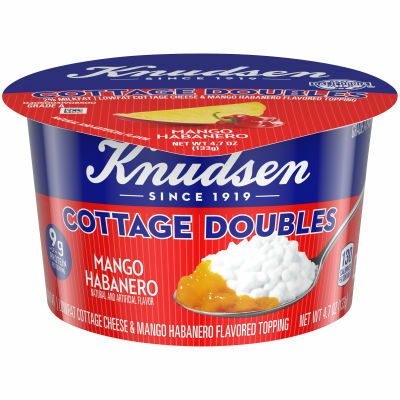 Before you head out for the day, make sure you grab the Knudsen Cottage Doubles Mango Habanero for an easy breakfast on the go. This delicious treat includes lowfat cottage cheese and mango habanero topping, making a quick and delicious snack whenever you need it.